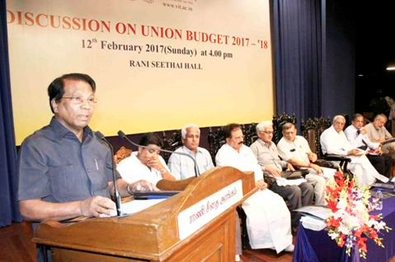 Post budget discussions organised by VIT University on the Union Budget 2017-’18 recently evoked mixed reactions with speakers welcoming the thrust given to the farming sector. 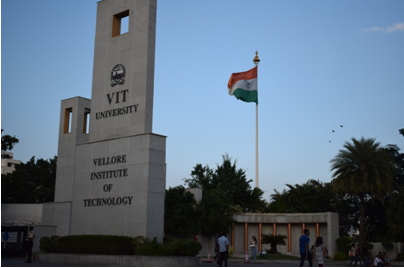 Addressing the gathering, VIT University chancellor G Viswanathan, said the highlight of the budget was provision of Rs 10 lakh crore for agricultural credit as this would go a long way in boosting the country’s farming sector. He said another noteworthy point was the allocation of Rs 48,000 crore for MNREGA scheme. The VIT Chancellor praised the proposal to create 5000 additional PG seats in medical education but said medical seats at graduate level too could have been increased. Also, he pointed out that tax evasion was an issue that should have been addressed and the menace could lead to increasing inequality in society, he said. FICCI’s M S Sundararajan said though a contribution of Rs 10,000 crore towards induction of capital in banks was mentioned in the budget, it was not sufficient keeping in mind the capital requirement of banks in this country. He welcomed the proposal to come up with a law to withhold properties of defaulters. CII’s N K Ranganath said allotment of about Rs 1 lakh crore for passenger safety in Indian Railways needs to be praised. It is a good sign that people across all the sectors, political parties were thinking about improving the farming sector. The implementation of various schemes for agriculture had seen praiseworthy in the last two years owing to which the sector had seen a growth of four percent, he said. He also denied that merging the Railway Budget with the general budget did not undermine the importance of the Railways. Earlier, Prof. D. Ashok, Dean Business School, VIT University mentioned that budget is supportive for lower to middle-class population. For small businessman and salaried professionals, the budget has a lot of goodies. The introduction of GST will bring down the inflation and benefit for poor. Supportive for digital payment mode is an attempt towards reducing black money to a minimum. Govt. expenses towards infrastructure support like technology, communication, housing, transportation, skill development, education and health may increase at larger extent. In general, it is a supportive budget for rural economy but talking of higher education sector, there is no supportive measures seen to be taken up by the government. VIT Business school is ranked 7th in Management and Research category among private Business Schools in India. It stands 17th out of 50 Business schools ranked by NIRF, MHRD, Govt. of India. VITBS stood among the top 10 business schools in South Zone in various media ranking published in 2016. Former Union Minister E M Sudarsana Natchiappan and State BJP spokesperson K Kanagasabapathi were present. VIT Business School programme chair Professor A Anuradha proposed a vote of thanks.